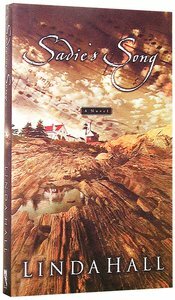 When 9-year-old Ally Buckley goes missing, fear spreads throughout a New England fishing village. And when Sadie finds one of Ally's drawings among her husband's possessions, she suspects danger may be closer to home than she had ever known. 298 pages, from Multnomah. Linda Hall is the award-winning author of seven nonfiction books and twelve novels, including "Dark Water," When she' s not writing, Linda and her husband, Rik, enjoy sailing the St. John River system and the coast of Maine. Linda and Rik have two children and three grandchildren and live in New Brunswick.